Current and pressing is an on going lawsuit. This information is public and has been re-posted in case it affects you. Feel free to distribute this as needed. SETTLEMENT MAY AFFECT YOUR RIGHTS. A settlement has been reached in two class action lawsuits involving curb ramps and curb cuts that provide access to sidewalks and other pedestrian pathways located in the City of Los Angeles. The lawsuits are both pending in the Superior Court of the State of California for the County of Los Angeles. They are known as Saundra Carter, et al.v. City of Los Angeles, Case No. BC363305, and Nicole Fahmie v. City of Los Angeles, et al., Case No. BC363305 (formerly Case No. BC381773). The plaintiffs in both actions saythat the City has violated disability access laws by failing to install or fix curb cuts or curb ramps that provide access to and from sidewalks and other pedestrian pathways located in the City. Your legal rights will be affected if the proposed settlement is approved by the Court. This notice is only a summary and provides a general description of the proposed settlement,your right to object to the proposed settlement, and the hearing that is scheduled before the Court to evaluate the fairness of the proposed settlement. For complete information, please see the “Notice of Class Action and Proposed Settlement,” available on the City of Los Angeles’ website: (www.lacity.org); or thewebsite of the plaintiffs’ counsel Arias Ozzello & Gignac LLP (www.aogllp.com); or by sending a written request to: Mike Arias, Esq., Arias Ozzello & Gignac LLP, 6701 CenterDrive West, 14th Floor, Los Angeles, California 90045. • alleges that you would have accessed or attempted to access a sidewalk, intersection, crosswalk, street or other pedestrian pathway located in the city but for allegedly being denied such access due to: (a) the lack of a curb ramp or curb cut, or (b) a curb ramp or curb cut that was damaged, deficient, in need of repair, or otherwise in a condition notsuitable or acceptable for use. If the definition above describes you, you will automatically be considered a member of the class. As a class member, you will be bound by the decisions of the Court. What are the terms and benefits? Class members will not receive money. The proposed settlement will require that the City implement a variety of measures to deal with the accessibility of curb ramps and curb cutsin the City. The purpose of this settlement is to require the City to remediate certain curb locations so that they comply with accessibility codes. Members of the class willbe entitled to submit requests to remediate curb locations in accordance with the programs to be implemented by the City. Plaintiffs’ counsel (Arias Ozzello & Gignac LLP and the Law Offices of Morse Mehrban) have determined that the settlement is fair and reasonable because it providesvaluable benefits to members of the class. Under the proposed settlement, the City will, among other things, implement a process for installation and remediation of certaincurb ramps and curb cuts throughout the City, complete a survey to assess the number of curb locations that still require remediation, and establish an advisorycommittee to render findings and recommendations regarding future appropriations of money for further installation and remediation of curb ramps and curbcuts. If the Court grants final approval of the proposed settlement, it will enter a judgment that will be binding on all members of the class, who will be deemed to have agreedto the terms of the settlement and will not be able to opt out of the class or the settlement. Members of the class will not be provided with any monetary award and they will be barred from prosecuting in the future certain claims that they may have against the City concerning the matters at issue in the pending litigation, includingclaims for Statutory Damages. Action and Proposed Settlement, referenced above. members of the class. If you do not agree with the settlement, you may object to the settlement. To submit an objection, you must do so in writing, by September 7, 2011, asinstructed in the Notice of Class Action and Proposed Settlement. 10:00 a.m. on October 20, 2011, at the Los Angeles Superior Court, 600 South Commonwealth Avenue, Los Angeles, California 90005, in Department 324, to determine if thesettlement is fair and reasonable. You may ask to appear at the hearing in person, or through your own attorney at your own expense. No agreement has been reached yet by the City and Class Counsel regarding the attorneys’ fees that may be paid to Class Counsel. It is possible that a motion for an award ofattorneys’ fees will be heard during the Fairness Hearing. In any event, the award of attorneys’ fees will not affect the benefits to be received by the class under the proposedsettlement. For more information or for a copy of the Notice of Class Action and Proposed Settlement, visit www.lacity.org or www.aogllp.com, or send a written request to: Mike Arias,Esq., Arias Ozzello & Gignac LLP, 6701 Center Drive West, 14th Floor, Los Angeles, California 90045. You may also obtain more information about the two class action lawsuits from the case files, which are available from the Clerk of the Court, Superior Court of the State ofCalifornia for the County of Los Angeles, 600 S. Commonwealth Avenue, Los Angeles, California 90005. PLEASE DO NOT CONTACT THE COURT TO ASK QUESTIONS ABOUT THE SETTLEMENT DESCRIBED IN THIS NOTICE. Remember, the deadline for filing and serving objections is now September 7, 2011. After that, the court will not accept objections or allow people to be heard in court. Attention: Do you have a disability? Do you use Los Angeles city streets? If you answered ‘yes’ to both these questions you are a class member of a proposed class-action settlement on the Los Angeles city sidewalks. Your rights are about to be affected for the next 25 years. 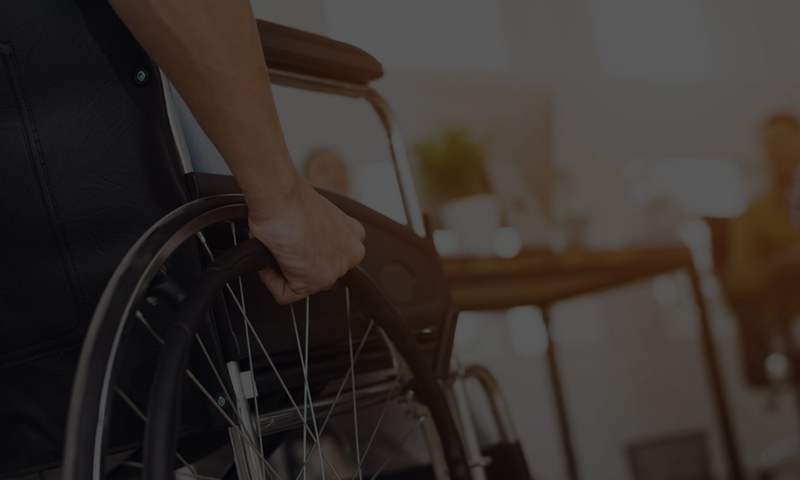 The Disability Rights Legal Center (DRLC) and David Geffen Law Firm believe that this settlement is unfair and they need you to tell the court if you do too. 2. Return it to David Geffen by September 6, 2011. 3. Come to the hearing if you can. d) The City has no obligation to install or replace curb ramps under the terms of the settlement agreement unless there are funds available from two specific sources: Gas tax funds and Measure R funds. 4) The proposed class action Settlement provides that class members will be required to use complicated request forms and sign them under penalty of perjury to have any chance of getting curb ramps installed. The deadline for filing an objection to this settlement is September 7, 2011, and the Final Approval Hearing is scheduled for October 20, 2011 at 10am. You can object to the approval of this Settlement Agreement by filling out the form. 600 South Commonwealth Ave., Los Angeles, CA 90005, Dept. 324. To object, simply place an “X” or your initials on the line next to any of the four categories that you agree with in the “Objection and Notice of Intent to Appear” attached to this e-mail. Use category number 5 to describe any other personal reasons why you believe this Proposed Settlement should not be approved. To make a statement at the hearing, place an “X” or your initials at the line next to the paragraph directly below “Notice of Intention to Appear. You do not need to come to the hearing to object to this proposed agreement, nor do you need to make a statement in order to attend the hearing. Please make sure you complete the personal information at the top of this attached form (i.e. your name, address, and telephone number), and make sure you sign and date it on page 2.